If you haven’t played at one of the best UK online casinos yet, now is a perfect time to get started. PlayFrank have recently refined their welcome bonus offers, and in this article we’ll cover all the casino goodies that are in store for you when you make your first deposits. 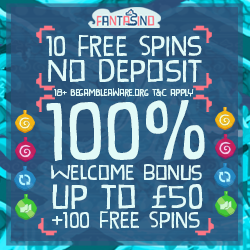 That adds up to a total of £300 in bonus + 200 bonus spins if you maximise the welcome offer. The extra bonus cash will prove you with a ton of entertainment, and hopefully it’ll bring some fortune as well. The bonus spins will be available instantly after you've made your deposits.Before you claim the welcome bonus, make sure to read the bonus terms and conditions at PlayFrank too. Boost the weekends with up to 120 bonus spins extra! The spins have a wagering requirement of x40. Read full terms and conditions on the promotion page at PlayFrank.